This is a round Hemet Jeep Club porcelain sign. 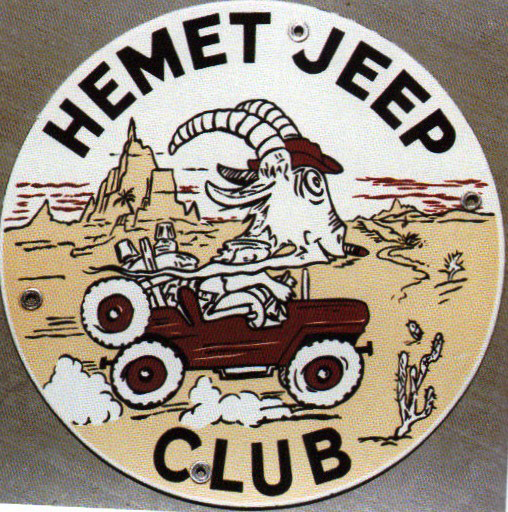 This particular Hemet Jeep Club sign features a ram driving a jeep through the desert in the center. It reads, “Hemet Jeep Club” and is printed with beige, maroon, and black ink.